If you see a link in my posts or pages — assume it is an affiliate link (frequently Amazon). If you click on any links and make a purchase, I will receive a small commission…your purchase cost will not be affected. I really love my rice — all varieties. Basmati, Jasmine, Brown, White…doesn’t matter to me. Well, I take that back…I don’t particularly care for black rice. No matter what the claims are for tasty black rice, our house doesn’t see the appealing presentation! 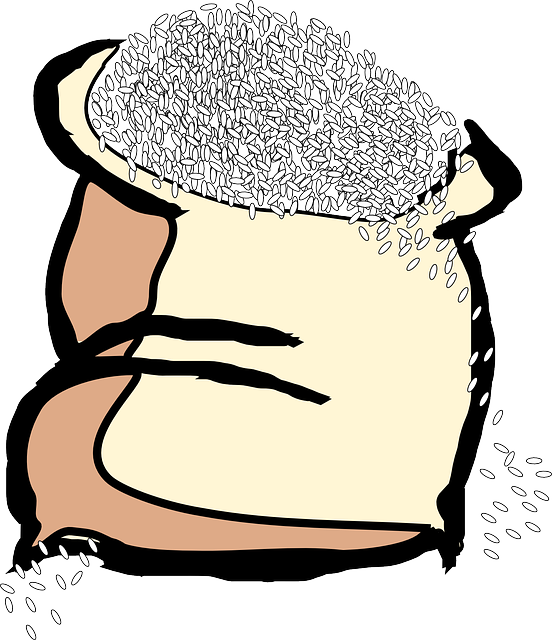 Big or little bags of rice are available in every food store for our choices. I’ve noticed that Jasmine rice seems to be a favorite in our community. This variety is offered in small bags and VERY large quantities. This memory dates me, but I recall when putting rice in boiling water, covering the pan, then simmering for 20 minutes was a new wrinkle for my mom! This technique seemed like a miracle for rice compared to the mess she had hated for years. 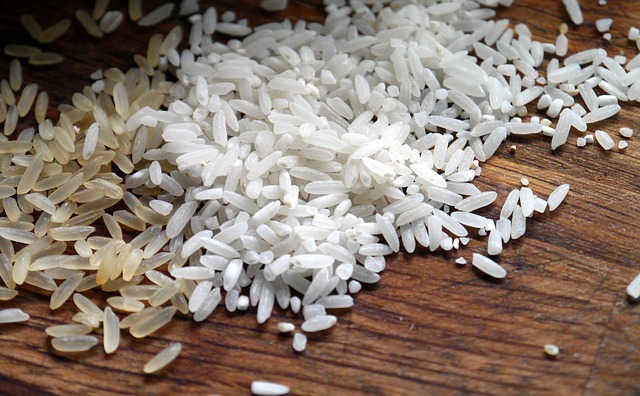 Have you tried sauteing rice in commercially packaged products such as RiceARoni? Now, don’t be ‘hatin’ on processed box dishes like this. I have to appreciate them for introducing me into the saute methods. Sometimes they really come in handy! There is no doubt that superior nutrition wouldn’t recommend eating this package often. But, for the times when it is a package or nothing, the box will do the trick! Recently I began sauteing all my rice in a pre-cooking process. The rice is hot in a saucepan or skillet before the water is added. I prefer a skillet for the amount I usually cook. My current favorite rice, Jasmine, can be temperamental in the cooking process. No matter which variety I choose, I’m finding longer, plumper grains when I saute the grains. Heat the oil in the skillet till it begins to shimmer. Add the rice and stir constantly with a fork or spatula till it is all heated through. If it begins to brown, you will have toasty flavored rice. When the rice is heated, add the water to the skillet. The rice and oil will steam up impressively. Add the salt and bring the ingredients to a rolling boil. Then, put the lid on the pan, turn the heat down to low simmer for 20 minutes. This makes a large batch of rice that can be used in recipes or eaten as a side with meats or salads. How Do You Take Your Rice? an ingredient in a main dish mixture such as Spanish rice, enchiladas, risotto, or pilaf? When I was growing up, my mom made her version of Spanish rice with rice, hamburger and canned tomatoes! We weren’t very spicy, but the dish was this kid’s favorite. a side dish replacing potatoes or noodles? We didn’t use rice as a side dish in our youth. It takes some ‘rethinking’ to get the diners at this house to do so now. a dessert like Sticky Rice or Rice Pudding? Sticky Rice is a favorite at our house. Another popular choice is very simple — add some milk, cinnamon and sugar to the rice for a very basic dessert. the base for a dessert or salad such as Glorified Rice? This is my husband’s favorite. Tell me about your rice favorites in the comments. If you see a link in my posts or pages -- assume it is an affiliate link (frequently Amazon). If you click on any links and make a purchase, I will receive a small commission...your purchase cost will not be affected. I had no idea rice was grown in Arkansas! My husband is from Thailand so we eat a lot of rice. Jasmine rice is our favorite (it originated in Thailand) and we use it as a side dish lots. I use a rice pot and it’s much easier than potatoes or noodles for a side. We eat lots of rice, including the microwaveable kind in the packets. I’m like you, though, I’m not impressed with black rice, and I can take or leave wild rice. I love all kinds of rice and we also make jasmine rice a lot in our home! . I really love risotto which uses Arborio rice. You pan fry that too before you add the stock.